Judy Chicago is a founder of the feminist art movement; a pioneer who diffracted art world barriers and challenged societal perceptions of art, artists, education, and women. In 2011, Judy Chicago donated materials from her teaching projects (1970-2005) to Penn State Special Collections Library. Judy Chicago has planted strong roots of feminist art education from which have flowered diverse forms of feminist art. 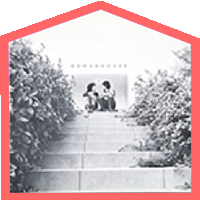 The bold and uncharted development of a feminist art program, at Cal-State, Fresno, in 1970, was further developed when it was moved to Cal-Arts and then to the Woman’s Building in Los Angeles. These feminist art programs educated not only artists but also audiences—a necessity for the perseverance to create the groundbreaking artwork, The Dinner Party. After 30 years of creating art, Judy Chicago returned to teaching in the late 1990s to further develop feminist art pedagogy. The Judy Chicago Art Education Collection at Penn State includes videos, photographs, and written documents (by Judy Chicago) about her development of content-based participatory feminist art pedagogy.